Many people are beginning to wrap their minds around the House Republicans’ proposed destination-based cash-flow tax and what it means for tax reform. Most people are still looking into the tax’s impacts on trade and how it will impact different industries. 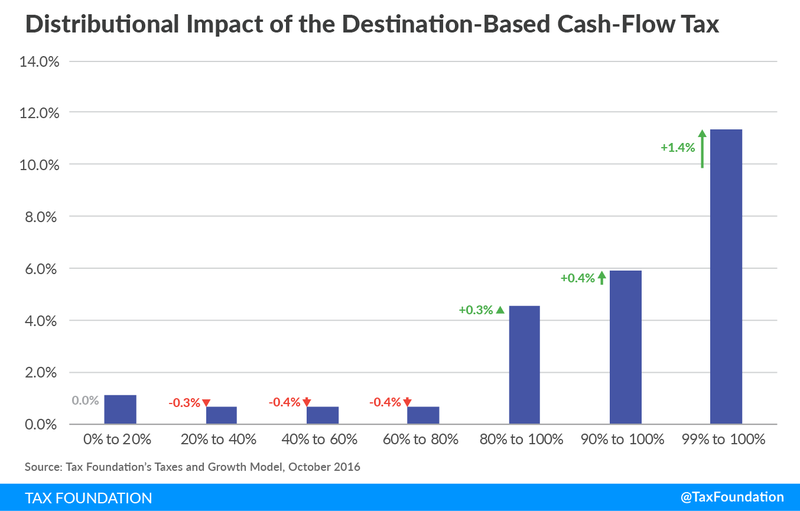 However, one important issue that has yet to be addressed is the destination-based cash-flow tax’s (DBCFT) impact on the distribution of the federal tax burden. We know, overall, the GOP tax plan would reduce the progressivity of the tax code. However, what we will see is that there is a good case to be made that a destination-based cash-flow tax, by itself, is more progressive than the current corporate income tax. 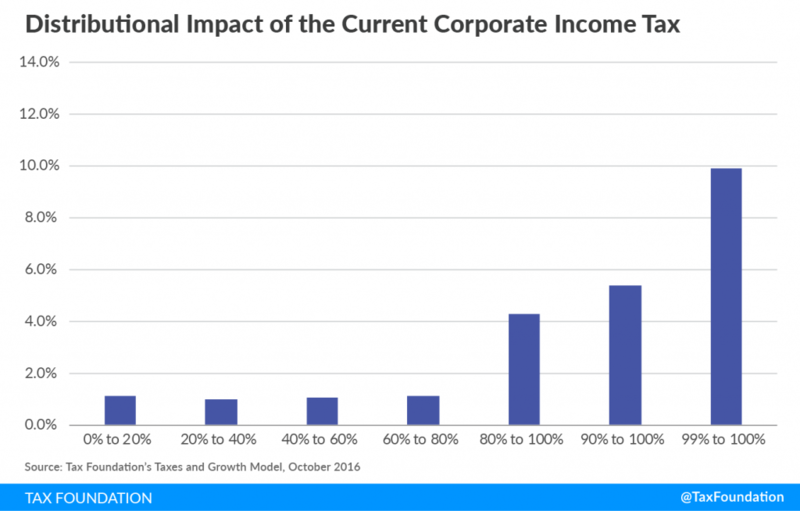 It is first useful to outline what economists think the distributional impact of the corporate tax is. The short answer is that there isn’t much agreement! Some believe the corporate income tax is born fully by capital, or the owners of corporations, while others think that labor bears a substantial burden of the corporate income tax. Why do we think this is the case? Well the corporate income tax basically has two pieces that influence the distribution of its burden. The first piece is basically a withholding tax on shareholders, or the owners of the corporations. Any investment project that, over time, results in revenues that exceed its costs (in present value terms) will net profits that will either be retained by the corporation or distributed to shareholders. The corporate tax hits these “extra” (or “supernormal”) returns that end up going to shareholders. The second piece of the corporate tax is a tax on new investment. 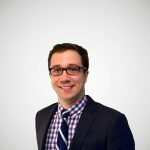 Because corporations are required to deduct the cost of their investment assets over time, corporations end up paying tax on “marginal” investments: projects that break even, and yield no profit in present value terms. You can think of these projects as ones that businesses would be on the fence about undertaking, in the absence of taxation. 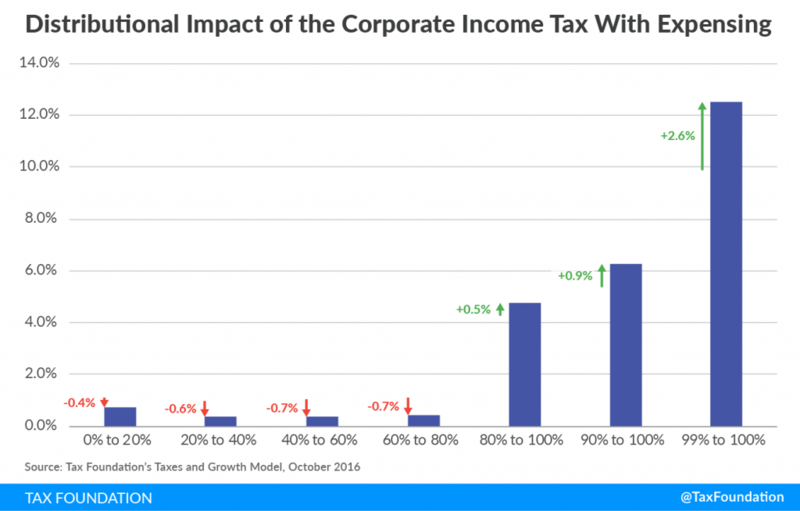 Since the corporate tax places a positive tax burden on these projects, corporations are less likely to invest in them. This reduction in investment, across the economy, results in a smaller capital stock, lower productivity, and lower wages. Now, how would the distribution change if the corporate tax were converted into a DBCFT? The first piece is full expensing of capital investment. What does this do to the distribution of the corporate tax? In short, a full deduction for investment costs would eliminate that extra tax wedge on new, or marginal, investment. Without the positive tax rate on new investment, there is no longer a significant disincentive to invest in these on-the-fence projects. As a result, you are eliminating the mechanism in the corporate tax that results in lower wages in the long run. The corporate income tax is now purely a withholding tax on the extra profits of shareholders and becomes slightly more progressive. The chart shows that when you add expensing to the corporate income tax (and keep revenues constant), the tax burden shifts further up the income scale. The tax burden on the top 1 percent increases by 2.6 percent of income while the tax burden on the bottom 80 percent shrinks by between 0.4 percent and 0.7 percent of income. The second piece of the DBCFT is the elimination of the deduction for net interest expense. (To keep this relatively simple, I will assume equity investment is our marginal investment). This now makes the corporate income tax a withholding tax not just for those who earn capital gains and dividends but also who earn interest income from corporate bonds. So now, the corporate tax also falls on bond holders. However, the distribution is a little more complicated than that. Interest payments generally go to three types of bond holders: taxable individuals, nontaxable individuals and entities, and foreigners. For this analysis we only care about the first two groups. The chart below shows what the corporate tax looks like when you eliminate the deduction for net interest expense on top of full expensing compared to the current corporate income tax. Although these two changes in combination are slightly less progressive than expensing by itself, they are still slightly more progressive than current law. The last piece of the destination-based cash-flow tax is the border adjustment. The border adjustment applies a tax on imports by disallowing the deduction for purchases from overseas. It also removes exports from the tax base through an exclusion for export income. The border adjustment essentially flips the current treatment of the tradable sector from a tax on exports and an exemption for imports to a tax on imports and an exemption for exports. Given that imports and exports are different sides of the same coin, this flip does not impact the trade balance and has the same impact on the tradable sector as current law. Based on my calculations, it’s fair to argue that the DBCFT’s tax burden would be slightly more progressive than the current U.S. corporate income tax. Of course, if one assumes that the corporate tax under current law falls more heavily on labor than I assumed here, the DBCFT would be even more progressive in comparison. Click here to read more about the House GOP Tax Plan. Note: Another piece of the GOP’s proposal is the elimination of the additional domestic tax on foreign profits, or the switch to a “territorial” tax system. Paired with an offsetting rate increase, it would have little impact on the distribution of the DBCFT. I modeled it in combination with the border adjustment. Static Distributional Burden of the Corporate Income Tax and the Destination-Based Cash-Flow Tax as a Percent of AGI.